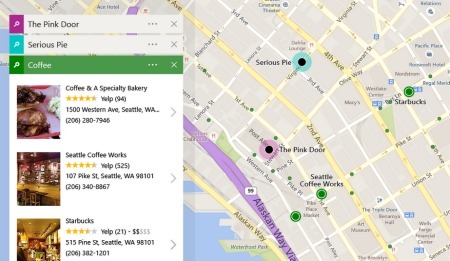 Constantly trying to nudge in on Google’s turf, Bing has announced the wholesale redesign of the company’s Bing Maps tool. In order to better compete against the competition, Bing Maps has been endowed with a wide variety of new features, including new search and personalization capabilities. One of the most useful updates for consumers is the ability to see reviews and photos from partner websites like Yelp directly on Bing Maps when searching a specific company or business. What’s more, to help reduce drive time, Bing Maps now enables users to input the day and time they plan to leave, and using predictive technology, it will show them how long it will take to get there, enabling them to change their route in advance of their travels. Other new capabilities improved street-side views, the ability to discover venues along the users route as well as the ability to share their destination and travel plans with others.